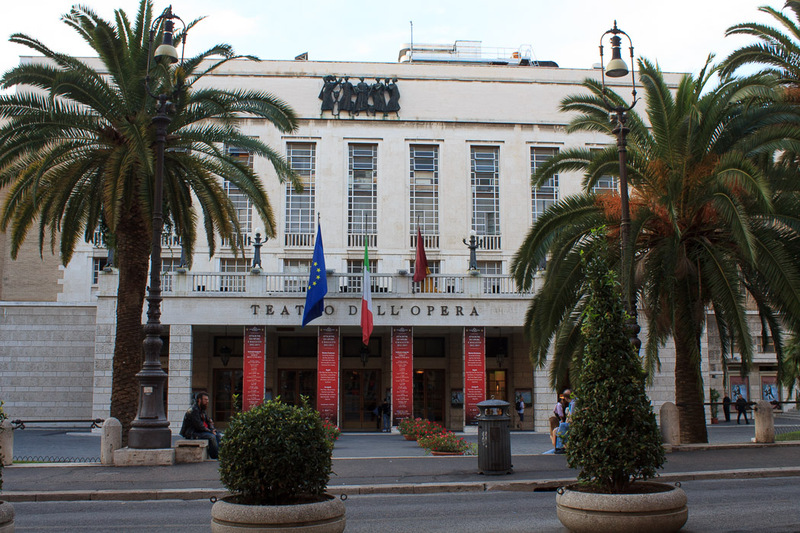 Teatro dell'Opera is the primary opera house in Rome, originally opened in November of 1880 and modernized to its current 1600-seat configuration in 1958. The theater has legendary acoustics and bears comparison with any other auditorium in the world. The theater is air-conditioned, but as far as I've seen, does not present operas during the summer or autumn. Summertime presentations of the opera company are performed at the outdoor theater at the Baths of Caracalla. See all Teatro dell'Opera photos.